The information below comes from a variety of sources, including "A Century of Faith" A centenial publication of St. Florian Church. . Information and photos were also provide by Aniol's Hardware, the Pullman Museum, the Southeast Side Historical Society, and private sources. As the timeline si a living document, information will be added and revised and more information is discovered. 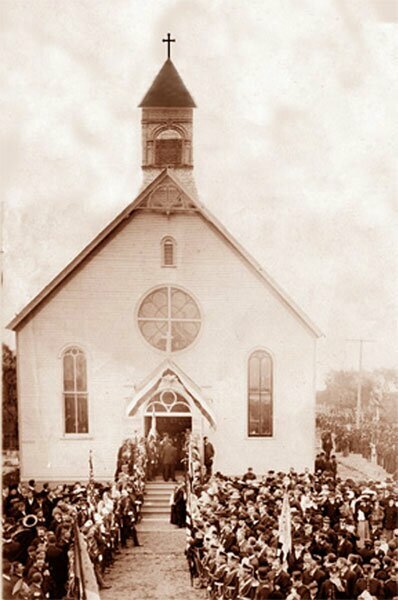 1884: St. Columba Church is established at 133rd and High Ave. (now Green Bay) It is a mission parish of St. Kevin’s located on 105th and Torrence. 1889: Chicago remaps its wards with annexation of Hyde Park. Hegewisch, the East Side, the Bush, South Deering, are part of the new 33rd Ward. 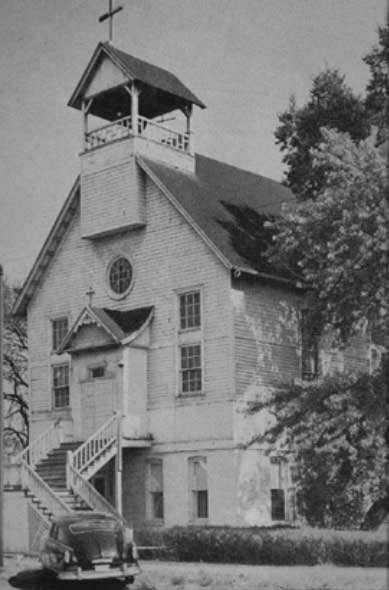 1895: Lebanon Lutheran Church is established. However they church has no permanent structure to serve as a parsonage. 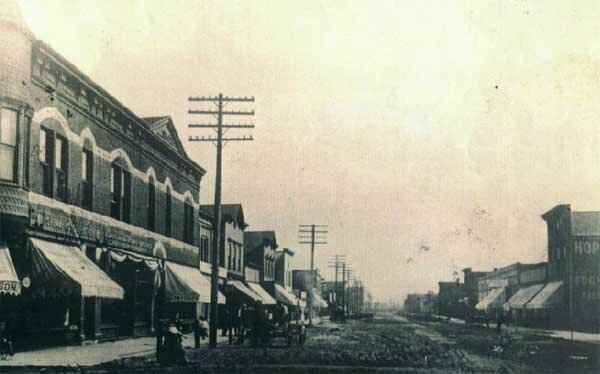 1901: The 33rd ward is split in half, The southern half, including the East Side, South Deering, Hegewisch and surrounding areas become the new 8th Ward. 1906: Hegewisch Methodist Church is built at 13501 S. Burley Ave. was officially dedicated on December 9, 1906. 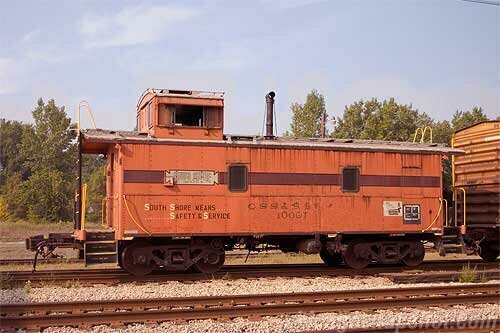 It replaces an early frame church that had been located at 133rd and Brandon Ave.
1912: United States Rolling Stock Company becomes Western Steel Car & Foundry. 1922: Father Florian Chodniewicz is murdered on January 22. 1923: A parsonage for Lebanon Lutheran Church is built at 132 and Brandon Ave.
1923: Chicago remaps its wards again and Hegewisch becomes part of the newly designated 10th Ward. 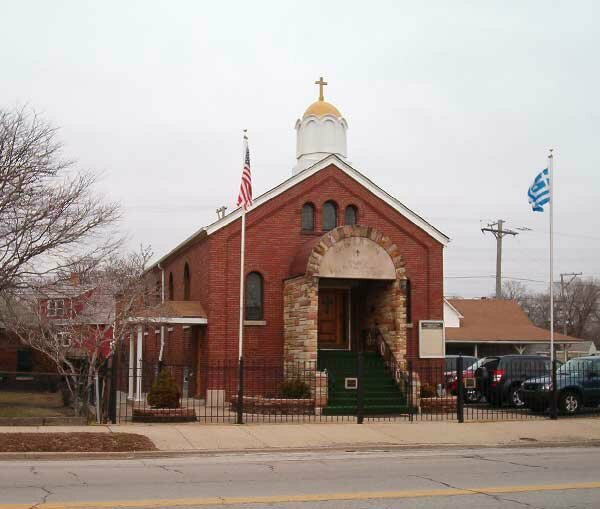 1926: Assumption of Mary Greek Orthodox Church opens its door. The original church was building purchased to serve as a church. running 56 trains daily including 21 limited trains. There is no official stop in Hegewisch, however. 1936: Assumption of Mary Greek Orthodox Church burns to the ground. 1940: St. Hedwig The Polish National Catholic Church is founded. It holds Mass in the Opera house. 1948: July 11 Admiral Appliances Corporation purchases the Appliance Division of Pressed Steel Car Co.
1949: A new 130th street bridge is dedicated. 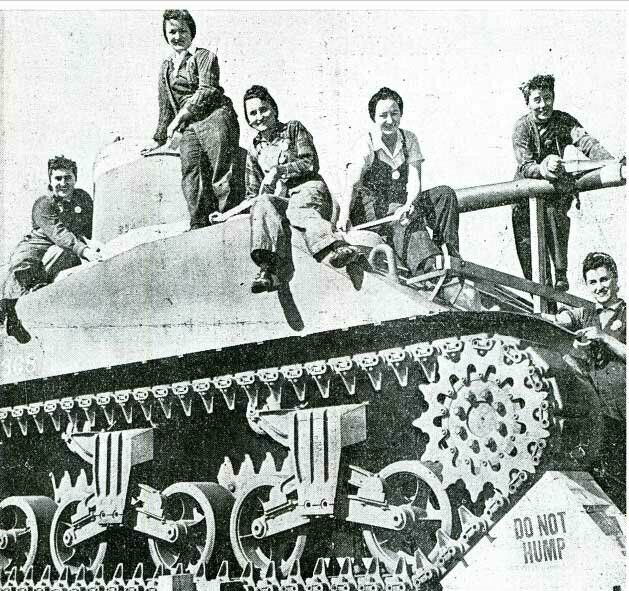 1951: Pressed Steel Car wins an Army contract to build tanks. Production takes place in the Hegewisch plant. 1951: St. Columba opens its new Church/School complex replacing the old wood frame Church. 1951: Chicago Public Library begins a book mobile service for the Hegewisch community. 1952: Press Steel introduces the “unishelter” on May 8 in Hegewisch The unishelter a five-room-and-bath movable plywood house that can assembled in an hour and twenty minutes by a 12 man construction crew. 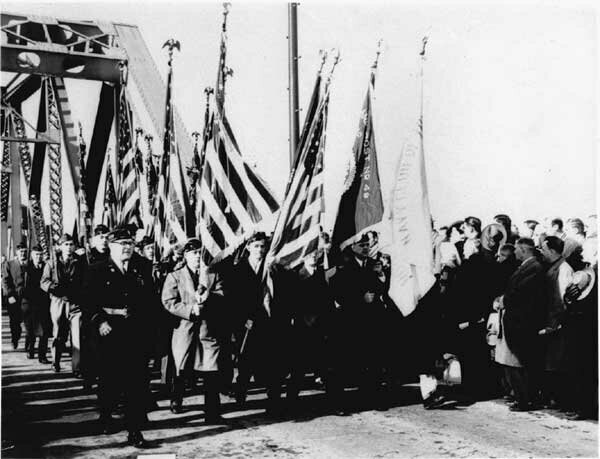 1955: The Cold War arrives in Hegewisch when C-44, the Hegwewisch/Wolf Lake Nike-Ajax Missle Site becomes operational on the north shore of Wolf Lake. 1961: Chicago redraws ward maps and Hegewisch becomes part of the 9th Ward. 1963: Father Chester Konsowski is appointed pastor of St. Florian on December 8, 1963. 1964: On April 8th a fire guts the sacristy of St. Florian Church causing $10,000 in damages. 1970: Chicago redraws ward maps and Hegewisch is returned to the 10th Ward. 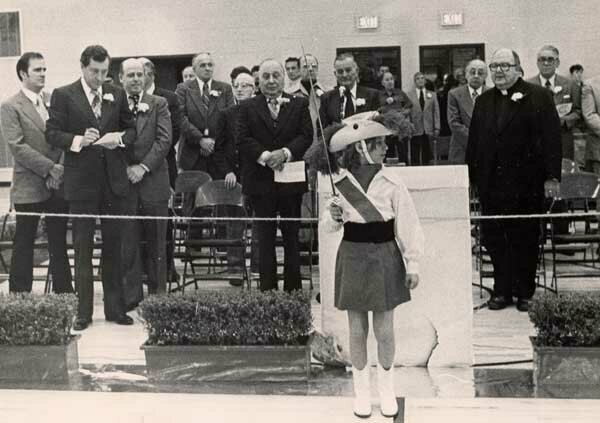 1970: Lebanon Lutheran opens its new parsonage at 131st and Manistee Ave.
1984: St. Columba celebrates its 100th year. 1991: The current Library located on 130th street replaces the old store front library. 1992: The new South Shore station and additional parking lot is completed in Hegewisch on 27 April 1992. 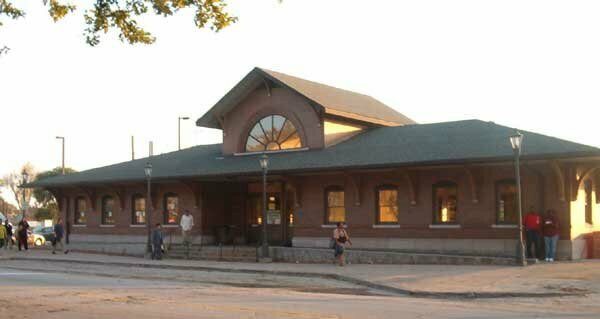 The new station is located approximately one block south east of the old station. 1998: Hegewisch Methodist Church closes its doors on January 4, 1998. 2001: St. Columba elementary school closes. 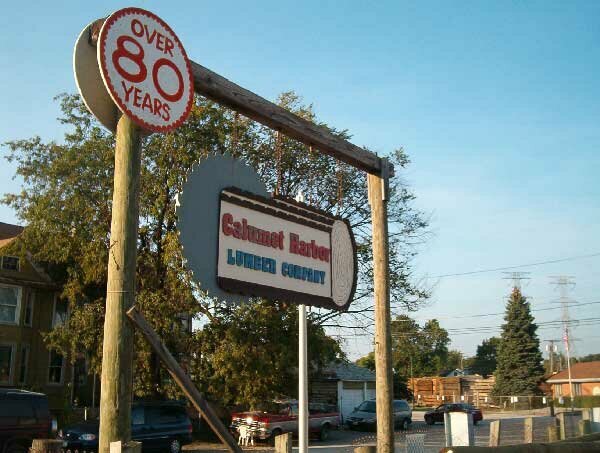 2005: November 5, St. Florian parish celebrates its 100th year. 2006: In January 2006, the Office of Lt. 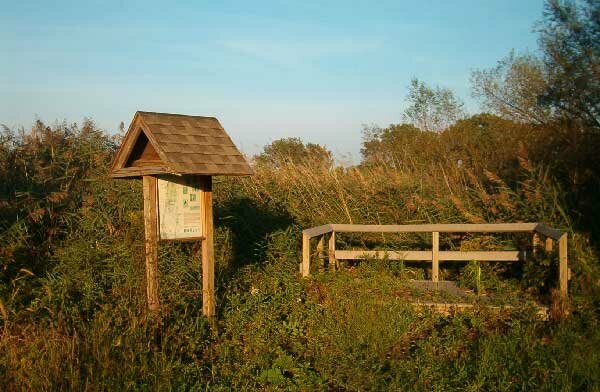 Governor Pat Quinn received a $750,000 National Coastal Wetlands Conservation Grant (NCWC) from the U.S. Fish and Wildlife Service. This money will be combined with approximately $500,000 in state and local funds for the Hegewisch Marsh Restoration Project. 2006: Fire destroys the old Opera House and Cousin’s Restaurant on June 14, 2006. Arson is suspected. 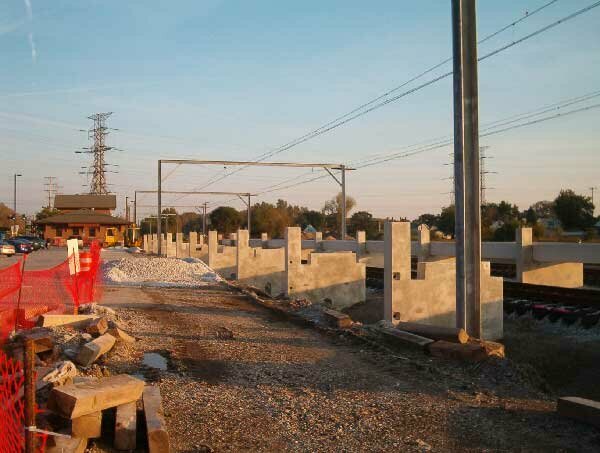 2007: The high level platforms and new parking lot for the Hegewisch South Shore stations are completed. 2007: St. Florian School celebrates its 100th year. 2008 In June a city panel signs off on a $26.5-million subsidy to help finance a 953 unit residential development replacing a Harbour Point Estates. 2009: St. Columba celebrates its 125th year as a parish community. 2009: The Shore Shore Line begins running the long anticipated Double Decker passenger cars. The newly refurbished cars however are used during non-peak hours while more cars prepared for peak rush-hour transit.